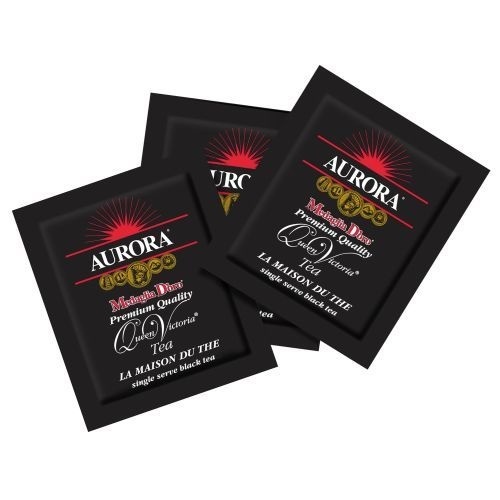 Aurora herbal teas come packed in a box of 150, comprising six internal boxes of 25 individually wrapped tea sachets. offering the accomodation host bulk pricing, with an easy option to split the product into smaller amounts and distribute to housekeeping or room service. The herbal teas include Green Tea, Lemon & Ginger and Peppermint, while Earl Grey and English Breakfast also come in this packaging arrangement. 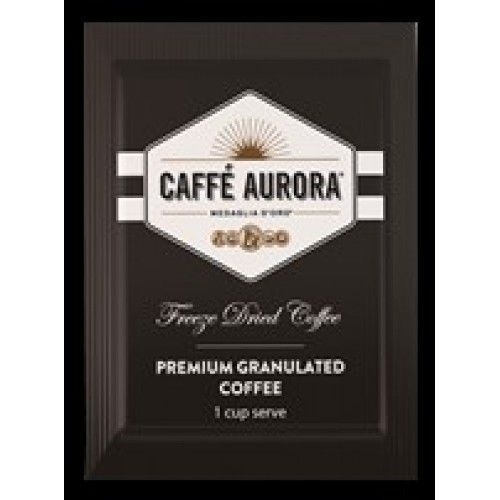 Aurora Black Tea is available in boxes of 500 pieces, and can be coordinated with Aurora sugar in the same packaging, in addition to Aurora Granulated Coffee Sachets. 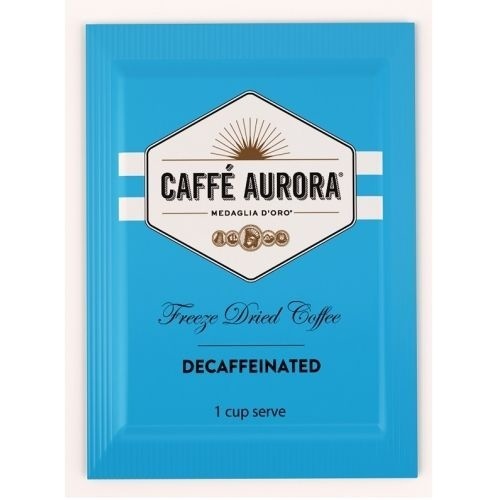 Aurora Granulated Coffee Sachets come in a wholesale box of 2000 sachets while the Decaf Coffee Sachets comes in a box of 500. 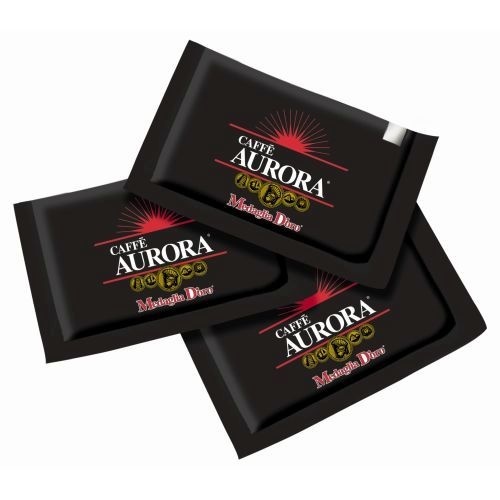 Shop our range of Aurora Tea and Caffe Aurora Coffee Sachets today.